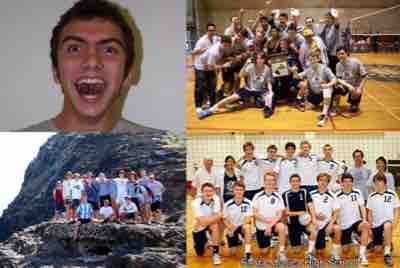 Samohi Volleyball joins our Samohi community in grieving the loss of Samohi alum David Cline in the tragic fire in Oakland. We would appreciate the help and support of the family to help cover family expenses during this difficult time. All contributions will be sent directly to David's brother Neil Cline. Thank you so much. This outpouring of love and support has been absolutely invaluable and totally unbelievable. My family is humbled and eternally grateful for everything everybody has done for us. We really can't thank you enough, and this huge gesture will forever be a reminder of the love we have in our community and the good that people can do for one another. Thank you for the tremendous love and support for the Cline family. Please continue to contribute and share. Seeing the contributions from so many young people who went to school with the Cline boys is a tribute to him, his family, and our community. My deepest condolences to the Cline family on this devastating loss. The memorial for David by his brothers and friends was a testament that his beautiful spirit will live on and continue to inspire so many good people. Im certain that his grandfather, the late great Dr. Robert K. Kerlan, who mentored so many, is proud to be united with him. Peace.